This time the sakura were out in force. 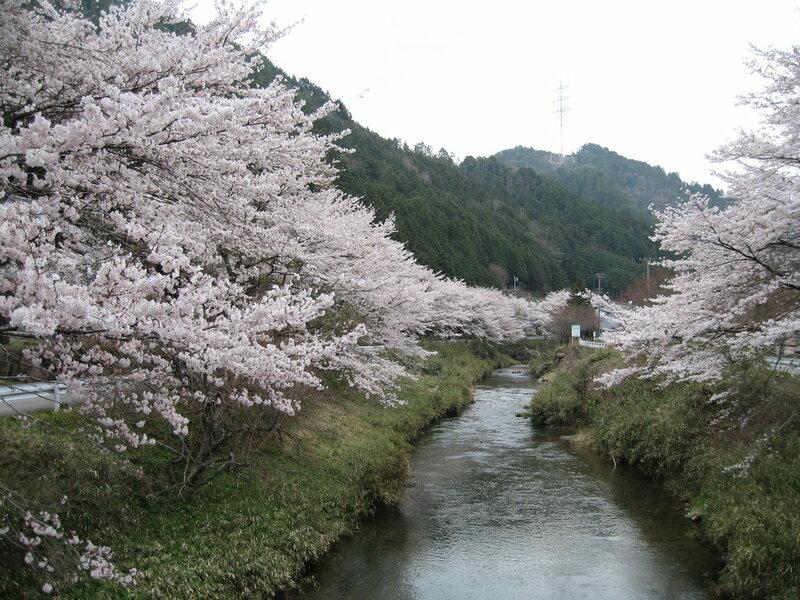 Every year it’s a surprise to see just how many cherry trees there are hiding around the country – both in gardens and growing wild in the mountains – waiting for their few days of glory. Everywhere you look it’s sakura, sakura, most of them in full bloom! We stopped off in our usual supermarket and picked up a bottle of their house wine – a white made from the Chardonnay grape (imported juice I think) so might not be too bad, though you can get a fair Chilean white for the same price of ¥498. It turned out to be awful. Just not nice to drink at all. Even at this low price you can do much better with a something from Chile, Spain or Italy. I’m amazed they expect people to buy that stuff. Spent an hour or so taking down the barbed wire round the chilli field. It wasn’t doing any good at all – just getting in my way, and tangling up in the net that turned out to be the only thing that would keep the deer out. Coming into Nagoya at dusk, a lone bat flying around a crossroads. In the summer there’ll be lots of them – small creatures about the size of sparrows, picking up the insects drawn to the traffic lights. Riverbanks seem to be a popular place to plant cherries.